When you shop on our site, we collect personal information from you such as your name, e-mail address, billing address, shipping address, phone number, product selections, credit card or other payment information. We may also collect, or our third party ad server and content server will collect the URL you came from, IP address, domain types (e.g. .com or .org, etc. ), your browser type, the country, state and telephone area code where your server is located, the pages of our site that were viewed during a visit. Welcome to K-TUNING.COM. We provide you services subject to the following conditions. If you visit or shop at K-TUNING.COM, you accept these conditions. Please read them carefully. Any vehicle manufacturer logo displayed on this website is done so with the intent of respectable recognition only. The image is used to identify the brand, a subject of public interest. The significance of the logo is to help the visitor identify the brand, assure the visitor they have reached the right website address containing possible items of interest pertaining to the brand (information, acticles, personal vehicle images, aftermarket accessories etc) and illustrate the nature of the brand in a way that words alone could not convey. Because it is a logo there is almost certainly no free equivalent. Any substitute that is not a derivative work would fail to convey the meaning intended, would tarnish or misrepresent its image, or would fail its purpose of identification or commentary. The entire logo is used to convey the meaning intended and avoid tarnishing or misrepresenting the intended image. The logo is a size and resolution sufficient to maintain the quality intended by the company or organization, without being unnecessarily high resolution. The use of the brand image is not meant to prompt financial gain or mislead the visitor in any way. Cosmeya Korea is in no way affiliated with the vehicle manufacturer or an official parts supplier of said/displayed vehicle manufacturer. 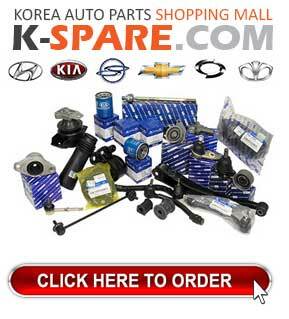 Cosmeya Korea is not an official OEM parts supplier. OEM parts/accessories are obtained via official OEM parts suppliers (either direclty or indirectly) with the clear intent/mutual understanding of resale either by means of a wholesale dealers account/credit account or otherwise (non-wholesale means). If you use this site, you are responsible for maintaining the confidentiality of your account and password and for restricting access to your computer, and you agree to accept responsibility for all activities that occur under your account or password. If you are under 18, you may use K-TUNING.COM only with involvement of a parent or guardian. K-TUNING.COM reserves the right to refuse service, terminate accounts, remove or edit content, or cancel orders in their sole discretion. Visitors may post reviews, comments, and other content; send e-cards and other communications; and submit suggestions, ideas, comments, questions, or other information, so long as the content is not illegal, obscene, threatening, defamatory, invasive of privacy, infringing of intellectual property rights, or otherwise injurious to third parties or objectionable and does not consist of or contain software viruses, political campaigning, commercial solicitation, chain letters, mass mailings, or any form of "spam." You may not use a false e-mail address, impersonate any person or entity, or otherwise mislead as to the origin of a card or other content. K-TUNING.COM reserves the right (but not the obligation) to remove or edit such content, but does not regularly review posted content. K-TUNING.COM respects the intellectual property of others. If you believe that your work has been copied in a way that constitutes copyright infringement let us now by sending email to sales@k-tuning.com. K-TUNING.COM attempts to be as accurate as possible. However, we do not warrant that product descriptions or other content of this site is accurate, complete, reliable, current, or error-free. 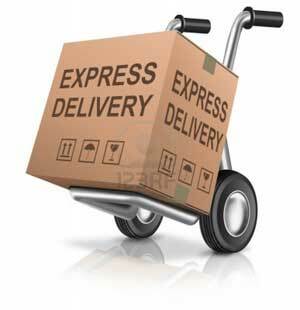 If a product offered by us is not as described, your sole remedy is to return it in unused condition. THIS SITE IS PROVIDED BY K-TUNING.COM ON AN "AS IS" AND "AS AVAILABLE" BASIS. K-TUNING.COM MAKES NO REPRESENTATIONS OR WARRANTIES OF ANY KIND, EXPRESS OR IMPLIED, AS TO THE OPERATION OF THIS SITE OR THE INFORMATION, CONTENT, MATERIALS, OR PRODUCTS INCLUDED ON THIS SITE. YOU EXPRESSLY AGREE THAT YOUR USE OF THIS SITE IS AT YOUR SOLE RISK. TO THE FULL EXTENT PERMISSIBLE BY APPLICABLE LAW, K-TUNING.COM DISCLAIMS ALL WARRANTIES, EXPRESS OR IMPLIED, INCLUDING, BUT NOT LIMITED TO, IMPLIED WARRANTIES OF MERCHANTABILITY AND FITNESS FOR A PARTICULAR PURPOSE. K-TUNING.COM DOES NOT WARRANT THAT THIS SITE, ITS SERVERS, OR E-MAIL SENT FROM K-TUNING.COM ARE FREE OF VIRUSES OR OTHER HARMFUL COMPONENTS. K-TUNING.COM WILL NOT BE LIABLE FOR ANY DAMAGES OF ANY KIND ARISING FROM THE USE OF THIS SITE, INCLUDING, BUT NOT LIMITED TO DIRECT, INDIRECT, INCIDENTAL, PUNITIVE, AND CONSEQUENTIAL DAMAGES. CERTAIN STATE LAWS DO NOT ALLOW LIMITATIONS ON IMPLIED WARRANTIES OR THE EXCLUSION OR LIMITATION OF CERTAIN DAMAGES. IF THESE LAWS APPLY TO YOU, SOME OR ALL OF THE ABOVE DISCLAIMERS, EXCLUSIONS, OR LIMITATIONS MAY NOT APPLY TO YOU, AND YOU MIGHT HAVE ADDITIONAL RIGHTS. Cosmeya Korea Co.,LTD is not affilated with Kia Motors, Hyundai Motors, GM, Ssangyong or Samsung/Renault. Any names and/or images displayed on this website are solely intended for the purpose of brand recognition and/or reference purposes only and do not imply sponsorship or endoresment of our website or products.